The company hasn’t specified the issue. 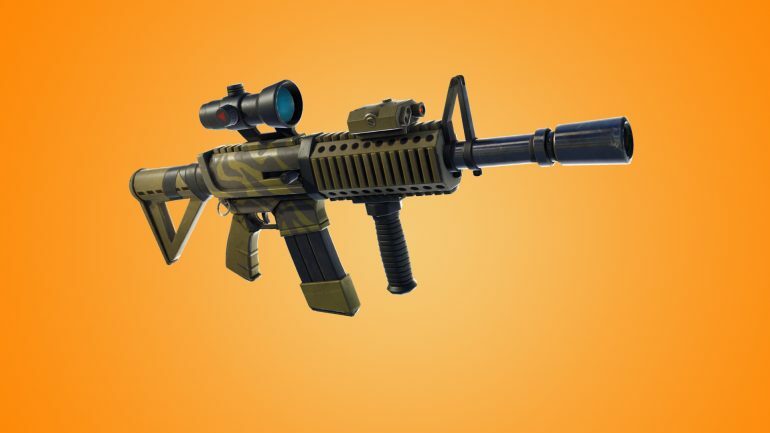 Epic Games disabled the Thermal Scoped Assault Rifle in Fortnite: Battle Royale for an hour “to gather data for a stability issue that we’re investigating,” the company wrote. Epic hasn’t specified what the stability issue is and which platforms or region it’s affecting. This issue comes a day after the v8.20 update was released, and Epic didn’t modify the Thermal Scoped Assault Rifle in that update. The last time Epic made any changes to it was in season five, in July 2018. We’re temporarily disabling the Thermal Scoped Assault Rifle for about an hour to gather data for a stability issue that we’re investigating. Players don’t seem to be reporting many issues with stability in their games when using the weapon or when not using it. The only big complaint a few players have been sharing since the beginning of March is of poor performance on consoles, which is something Epic is still investigating, according to its Fortnite Community Issues board. The company also had issues with mobile stability recently. It was forced to disable text chat several times on iOS and spend over a week making small adjustments in the game to improve performance for Fortnite players. The Thermal Scoped Assault Rifle is a special kind of weapon that lets its user see opponents when scoping. It makes the environment look blue and players look like yellow, orange, and red silhouettes, making it easier to spot enemy movement even behind some kinds of structures.